Melvin LeRoy Narveson, age 89 of rural Argyle, WI passed away Wednesday, January 23, 2019 from injuries sustained in a house fire. He was born February 6, 1929 in Dodgeville, WI the son of Melvin and Gladys (Christopher) Narveson, the oldest of four children. LeRoy was raised on a farm near Highland, WI that is now Blackhawk Lake. In 1951, he enlisted in the United States Army and served in an artillery unit during the Korean War. In 1952, LeRoy married Moya Marshall and together they raised five children on a farm near Hollandale, WI. He and Moya later divorced. In 1976, LeRoy married Sandra K. Riege and moved to Argyle where together they had 2 children. He was a common sight on the roads in Southwest Wisconsin as he traveled for about the next 30 years breeding cattle. LeRoy is survived by his wife Sandy at home; his children: Steven Narveson of Plymouth, WI, Marshall (Janice Jewell) Narveson of San Diego, CA, Miles Narveson of Dodgeville, WI, Chris (Tammy Watrud) Narveson of New Glarus, WI, Sarah (Francisco) Ortega of Fayetteville, GA, Tamara (Doug) Gierhart of Argyle, and Keven (Elizabeth Ladwig) Narveson of Oregon, WI; his step-children: Mark (Ruby Riley) Butson of Argyle and Mike (Gina Meritt) Butson both of Argyle, and Kim Oxenreider of Monroe, WI; 22 grandchildren; 7 great-grandchildren; his brother: Gerald (Lois Owens) Narveson of Dodgeville; and his sister: Marion Engelsgjerd of Lincoln, NE. He was preceded in death by his parents; a brother: Kenneth Narveson; a granddaughter: Paige Narveson; and a great-grandson: Aiden Riley. LeRoy was a proud longtime member of Cornerstone Lutheran Church in Argyle. He was also a proud Veteran who served in the Korean War. LeRoy loved working with animals, working in his garden, taking care of his business, and looking after and protecting his family. The memories they created together as a family will be cherished by all of them. He will be sadly missed and fondly remembered by his family and friends. A memorial service will be held Saturday, February 9, 2019 at 11:30 A.M. at Cornerstone Lutheran Church (1540 Old Highway 81, Argyle) with Rev. Ron Brubakken officiating. Military Rites will be accorded by Argyle American Legion Post #251 following the service. A visitation will be held Saturday, February 9, 2019 from 10:30 A.M. until the time of services at the church. The Erickson Funeral Home in Argyle is serving the family. 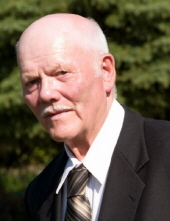 Online condolences may be expressed to the family at www.ericksonfuneralhome.com. For those who prefer, a memorial fund has been established in LeRoy’s name. To send flowers or a remembrance gift to the family of M. LeRoy Narveson, please visit our Tribute Store. Memorials may be written out to "the family of M. LeRoy Narveson"
"Email Address" would like to share the life celebration of M. LeRoy Narveson. Click on the "link" to go to share a favorite memory or leave a condolence message for the family.